Mammalian skull structure is notably diverse; however at a basic level the jaw mechanism is remarkably similar, if not essentially the same, in the majority of mammals. Using simple models that are compared with real animals at every step, this book examines the basic structural features of the mammalian jaw mechanism from a mechanical point of view. It explores how the mechanical constraints placed on the jaw have contributed to the evolution of an efficient basic structure, used by many mammals, which precludes mechanical difficulties and uses a minimum amount of bone tissue. Throughout The Mammalian Jaw the emphasis is on conceptual understanding, with explanations linked together to form a complete story that can be applied to both fossil and extant mammals. 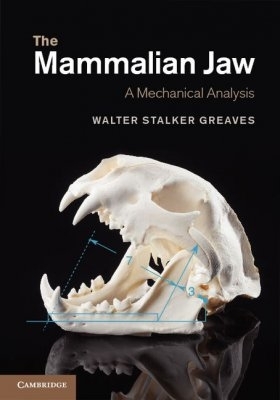 Summarising over forty years of research from one of the leading pioneers in 3D jaw mechanics, this is a must-have for anyone interested in mammalian jaw morphology.